Working All Day In My Daddy’s Garage (249/365 year 3) – Annoyingly Boring? Driving all night chasing some mirage. OK, she wasn’t in a garage, there was no driving nor was a mirage involved. 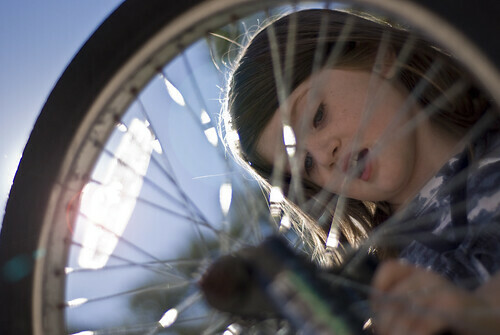 She did get a big kick out of ‘fixing’ her big brother’s bike though.